A great walking shoe that ensures a brisk pace. Optimized fit for women. The upper is made from lightweight, breathable and abrasion resistant textile fibers and thus offers much comfort. The inner material is also abrasion resistant and dries quickly. 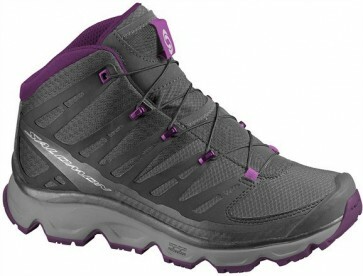 Due to the Gore Tex ® membrane and a superb breathability is available. An injected EVA midsole, insole and footbed promise excellent cushioning at the foot and an anatomical support.